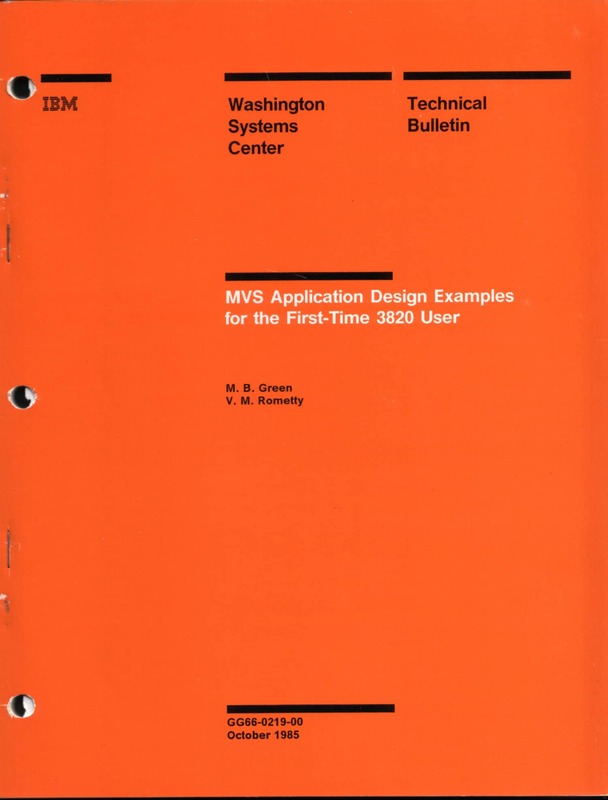 We have been finding that sometimes the best explanations of how things work in z/OS can be found in the early IBM Systems Center Technical Bulletins (also known as Orange, Green, Blue, or Yellow books) that are no longer available from IBM. To ensure that this valuable information doesn’t disappear into the mists of time (or into a dumpster), we’re providing this page as a home for these venerable out-of-print books. Just about every experienced mainframer has a few of these books stashed away somewhere. If you have some of these IBM Systems Center books hidden under your desk and you would be willing to work with us to share them with the mainframe community, please contact us. IBM has given us permission to publish these, but please remember that these are older manuals and the information might be quite out of date. These are published “AS IS”, and use of the information is at your own risk. Please follow IBM’s copyright notice in each book. If you wish to reprint these materials, please contact IBM directly to request approval. © (1980-1996) International Business Machines Corporation. Manuals are listed in order number sequence. Hover your mouse over the book title to see the abstract for that book. We hope you will find this to be a valuable source of information. Finally, don’t forget that you can access and download IBM Redbooks from the Redbooks website (http://www.redbooks.ibm.com).